Seaborn had a rather difficult time coming into the world. His mother went into labor on day 323. Long story short, he was a head-back dystocia. Once I was able to reorient his head, he delivered with no issues. 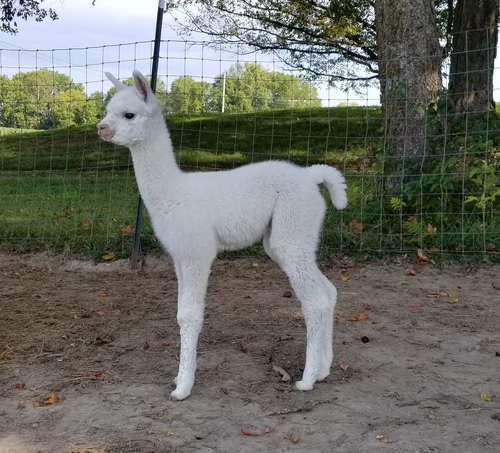 Being born early didn't seem to slow him down, and now at 24 days old, he is 24 lbs of dynomite. Like his sister Dakota, he is an independent rascal. 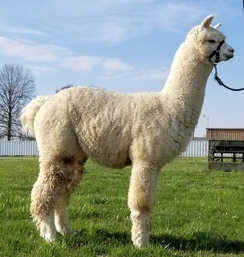 Seaborn is the son of Accoyo America Road Warrior out of MFI Peruvian Singular. Roady needs no introduction since he is one of the premier sires at Little Creek Farms. 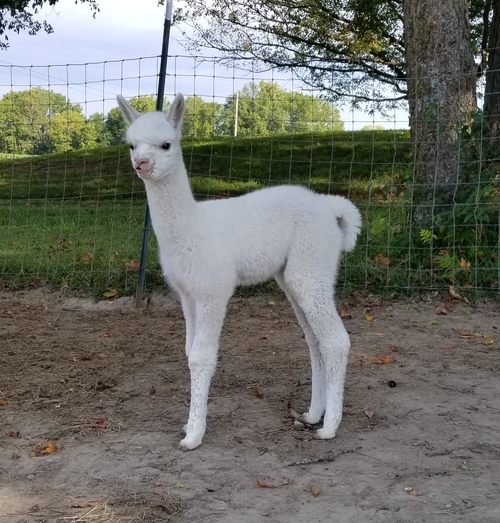 Singular on the other hand is a Jeremiah daughter out of Samadhi (Accoyo America Mahatma's full sister) which allowed us to blend some of the premier Little Creek bloodlines with Jeremiah. Seaborn is already displaying superior density and fineness. His fleece is already displaying good architecture and pencil-lead style bundling. We look forward to showing this young fellow in 2018. 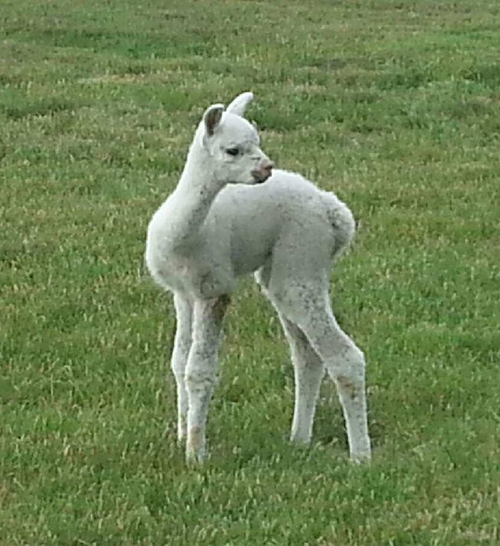 He is proudly co-owned with Bert Smith of Alpine Fiber Alpacas in Warren, OR.